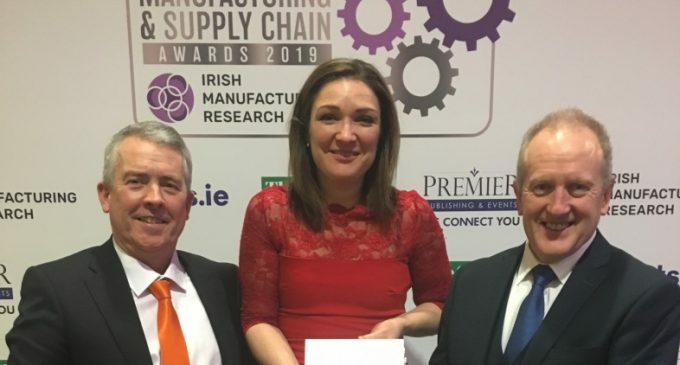 Horan Automation and Consulting has been crowned the Best Micro Manufacturing Company winner at this year’s IMR Manufacturing and Supply Chain Awards. Horan Automation & Consulting was recognised as a heavy hitter in the industry despite only having six employees and being based in rural Tipperary. The company designs, manufactures and integrates customised industrial automation and robotics. 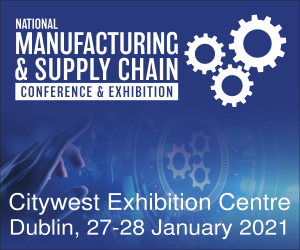 In 2018, Horan announced a joint partnership with Chinese Kuka partner ‘Boxline’ to allow the Irish company to export CE marked automated solutions into Europe and Saudi Arabia. Horan Automation is going from strength to strength and as a result of its expansion, the company expects to hire design engineers, service engineers and sales and marketing staff in the coming year. The business is currently a finalist in the prestigious SFA business awards, which will take place on 7th March. Horan Automation is now actively embarking on an export journey with the help of Enterprise Ireland, its Chinese partner and the company’s robot partner Kuka. 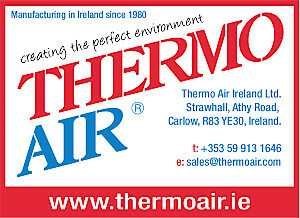 To find out more about Horan Automation, visit www.horan.ie. Pictured at the awards ceremony were (left to right): Brian Cooney, General Manager of Kuka Ireland; Emma Lacy, Commercial Director of Horan Automation and Consulting; and Gerry Horan, owner and MD of Horan Automation and Consulting.